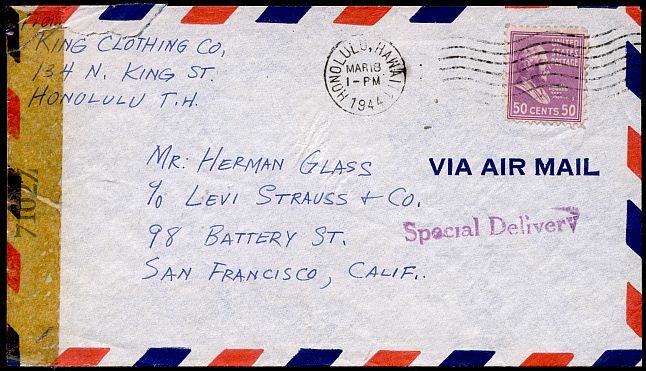 Airmail to and from Hawaii cost twenty cents an ounce from April 1, 1937 to January 15, 1945. 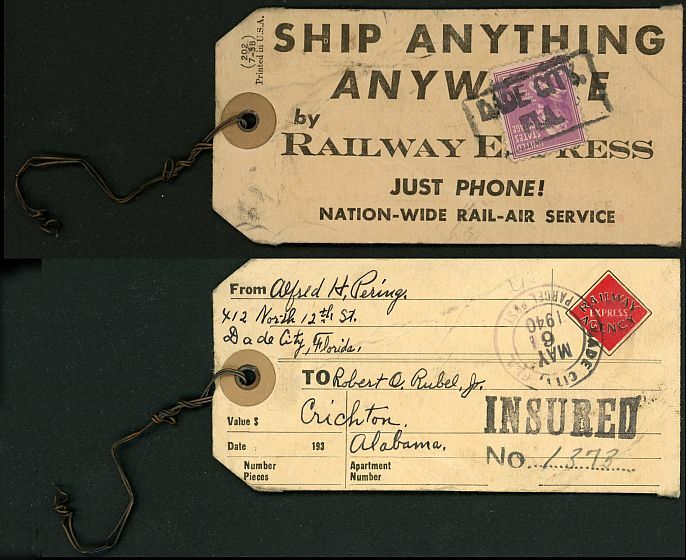 Special delivery cost ten cents from October 1, 1885 to November 1, 1944. 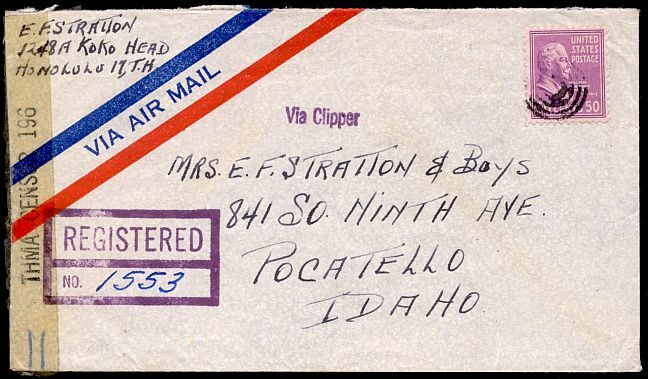 Double-weight airmail plus special delivery would add to fifty cents from the beginning of the Prexie period to November 1, 1944, and this cover was mailed March 18, 1944. 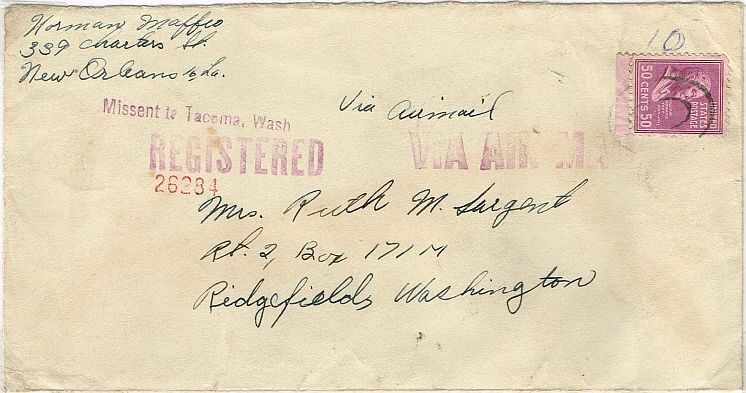 This cover was airmailed from Hawaii April 2, 1945 and was either double weight at fifteen cents per half ounce plus a minimum registry fee of twenty cents, or single weight plus a registry fee of thirty-five cents for $50.01 to $75.00 indemnity. In either case, the registry rates were the same over the fifteen cent airmail cost period, January 15, 1945 to October 1, 1946. 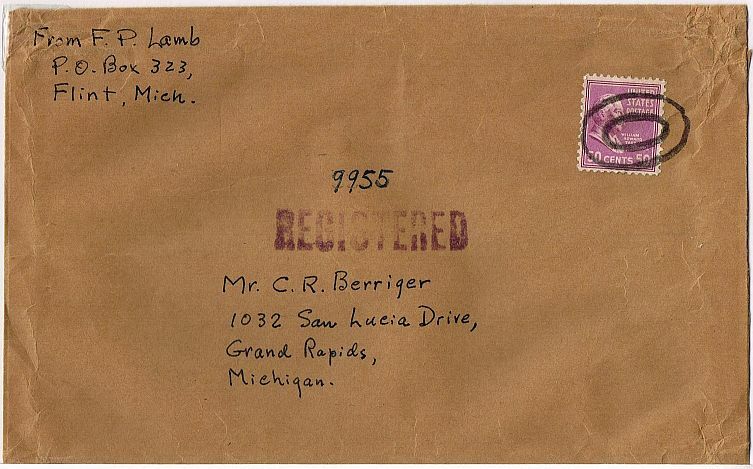 A cover mailed August 17, 1945 from APO 259, Bayreuth, Germany for five times the six cent military concession airmail rate in effect at the time, plus twenty cents minimum registry effective March 26, 1944 until January 1, 1949.